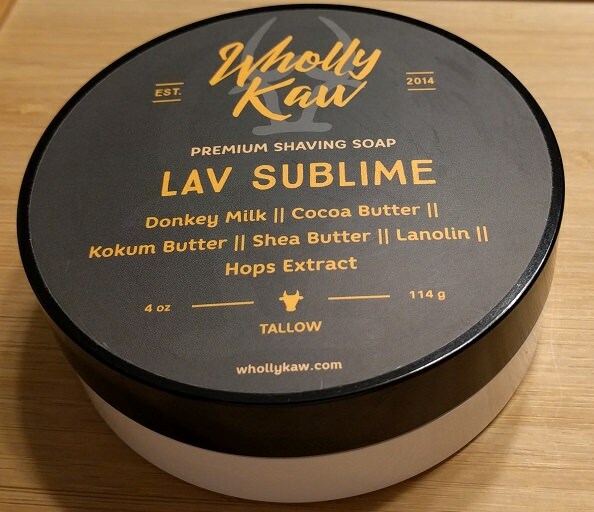 Wholly Kaw Lav Sublime donkey milk soap. This is the essential oil only version. Lathered once.